ElectronicKitSchool. - After we gave you article about download freely of Proteus Professional v7.6 SP2 Full for Windows with Path and Key Licence, now in this article we will give guidance on how to install this software to your computer or laptop. Please follow all steps below to install Proteus Professional v7.6 SP2 Full for Windows with Path and Key Licence easily. 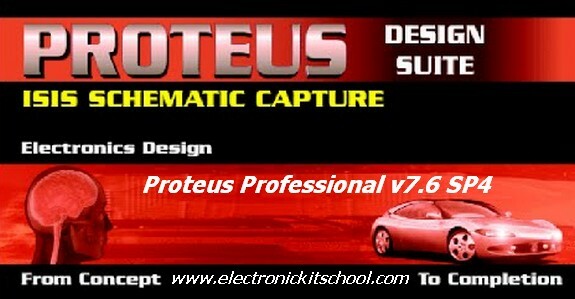 Please you download freely this Proteus 7.6 SP4 and also Patch and proxy-license. Please visit link here. If you didn’t install it before, you will notice that there is no license file exist. If you installed it before you will automatically find the license. But ensure that it is valid and not expired. And if it is invalid, you must do the step in the notes bellow. So, press Next. From the dialog appeared select browse for key file. You will find the license file in the crack folder that you’ve downloaded at step select the license file “Sonsivri” then select open.